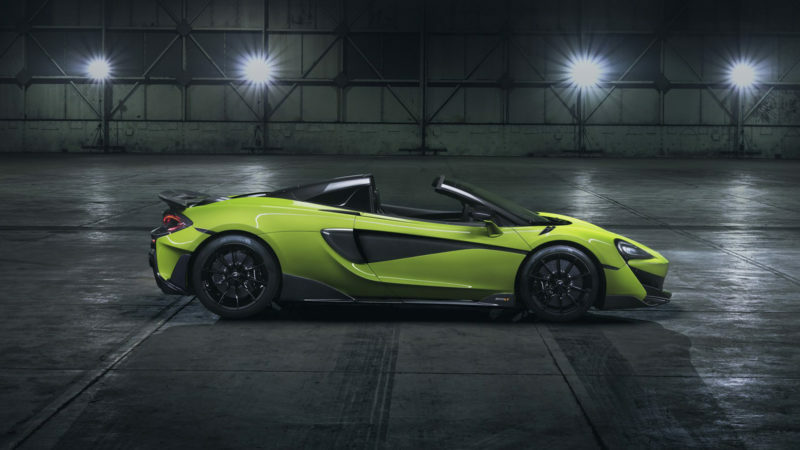 McLaren carries on the Longtail legacy with their latest open top 600LT Spider. 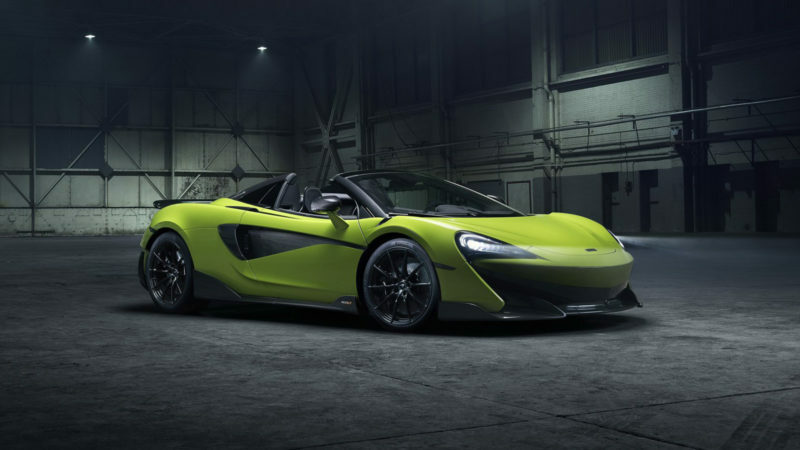 McLaren carries on the Longtail legacy of limited production, high performance, lightweight supercars with their latest 600LT Spider. 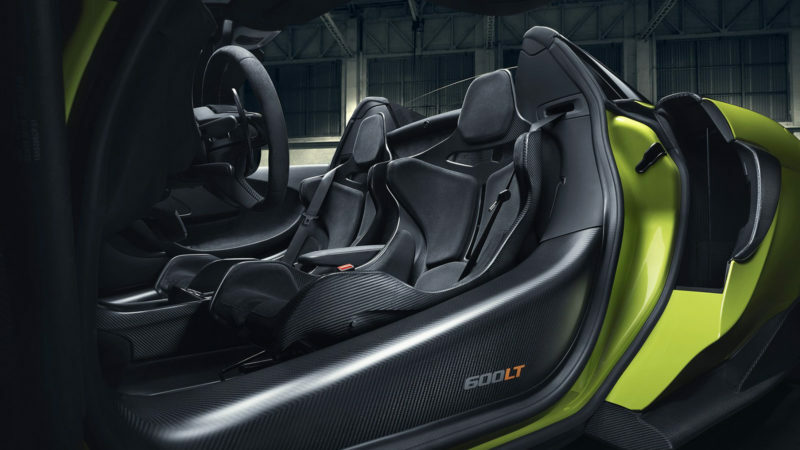 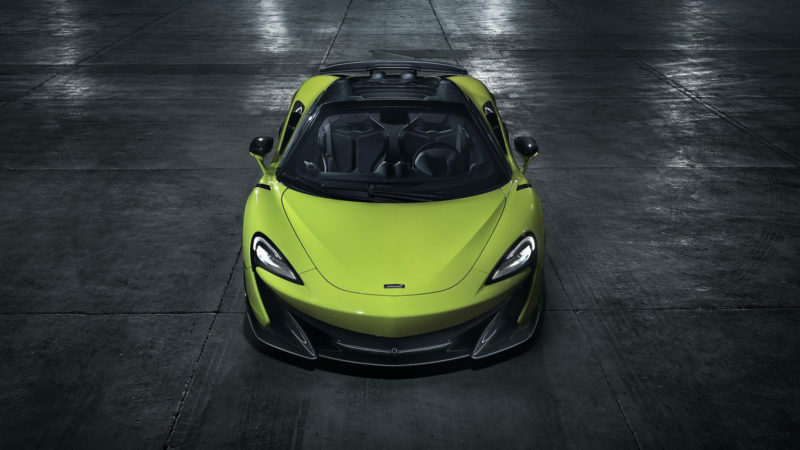 The latest vehicle to receive the storied LT treatment, the 600LT Spider offers infinite headroom thanks to its retractable hardtop and enough power to propel the car from 0 to 60 in just 2.8 seconds. 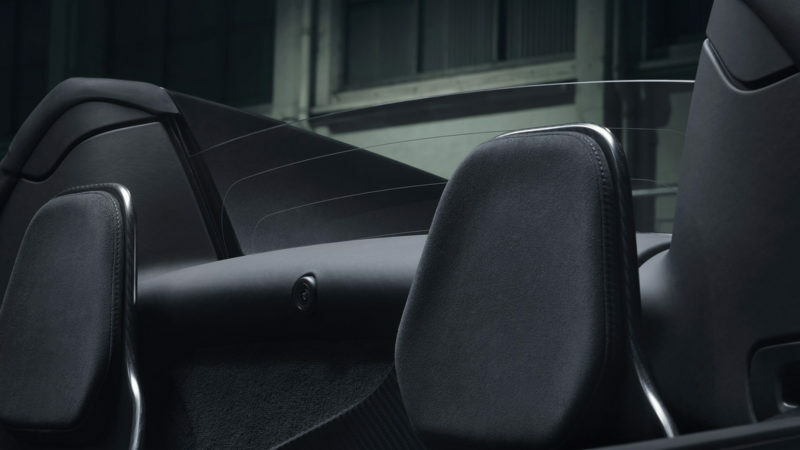 Keep your foot on the gas and the car will reach a top speed of 201 mph. 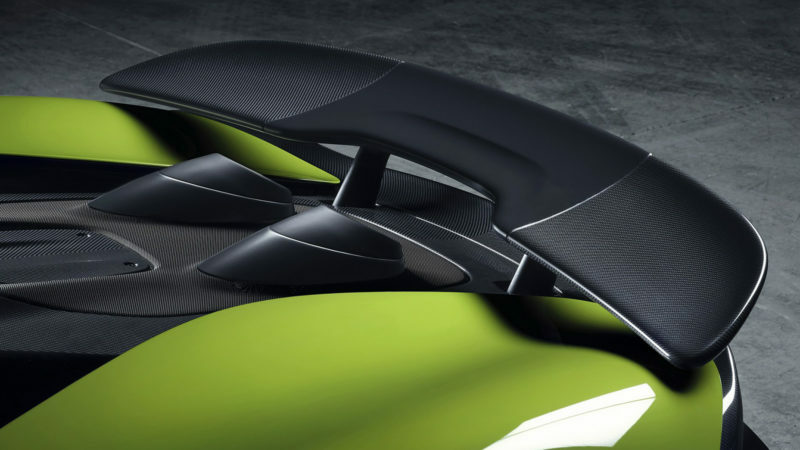 Dynamic capabilities of the Spider are on par with the coupe version, thanks to its Carbon fiber MonoCell II chassis. 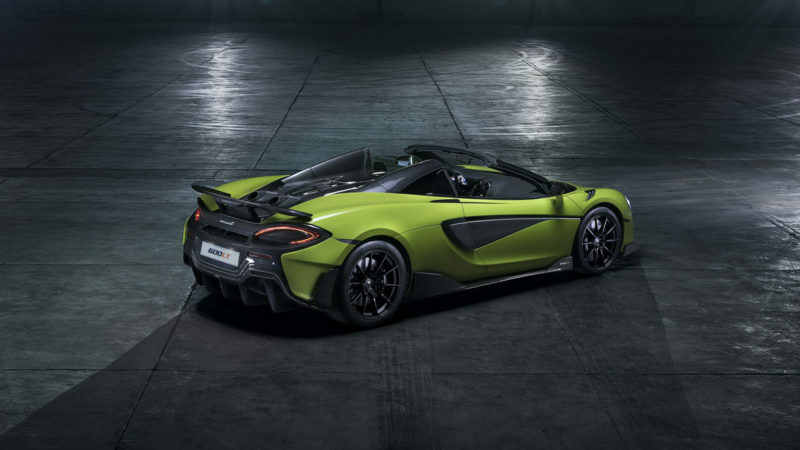 Aerodynamic enhancements adorn the new McLaren 600LT Spider, with its Longtail silhouette created by the fixed rear wing. 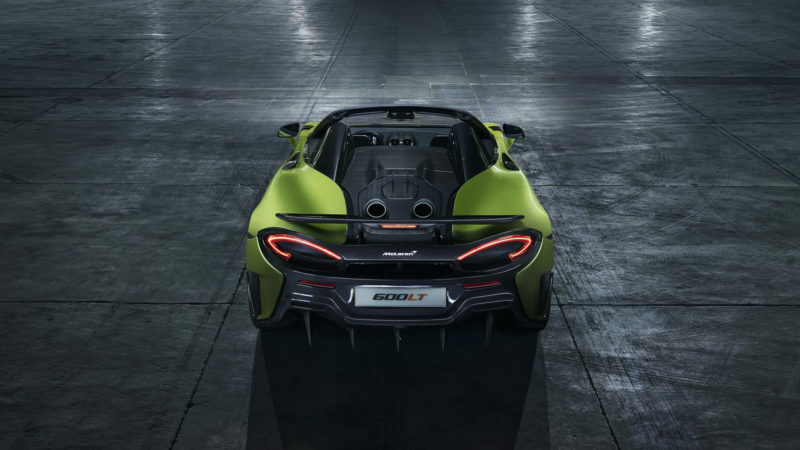 Adding to the aggressive rear end are a pair of top-exit exhausts that should envelope the driver with a glorious symphony of noise when the top is down. 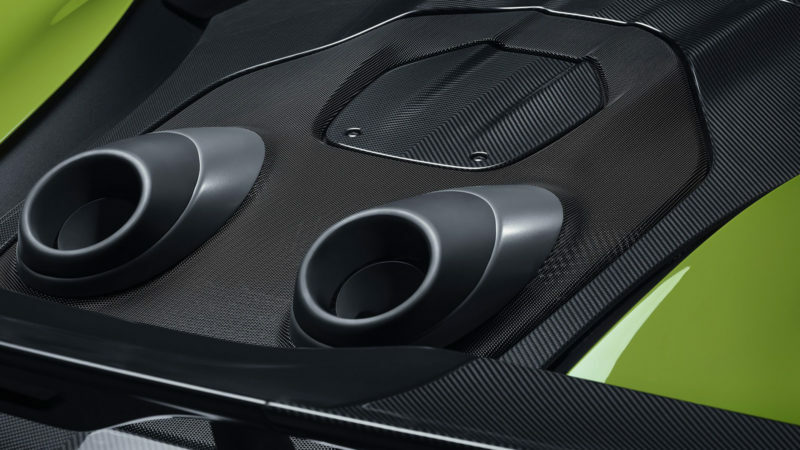 Inside, carbon fiber and Alcantara racing seats are taken straight from the McLaren P1 hypercar to keep the weight down, although even lighter seats from the McLaren Senna are offered as an option as well.